Kinetic Sandcastle comes as a complete set for indoor use that's mess free and fascinating fun. This special sand is incredibly tactile and comes with all the tools you need including 3 plastic moulds, as well as a scoop and a tray to shape and squash this brightly coloured sand into endless creations! Sticking to itself and not to you, flows through your fingers leaving them completely dry, cleans up easily and is wheat, gluten and casein free. 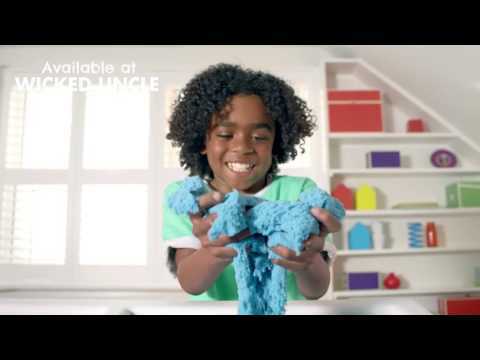 Kinetic Sand stimulates children’s imaginations allowing them to create anything they can over and over again - never dries out so the fun never needs to end!